A few times a year we make the trek to the bayou to fish the Louisiana marsh for some low country Redfish action. As a full-time fishing guide, this is my release and vacation from the daily grind of throwing nets, baiting hooks, and entertaining clients. 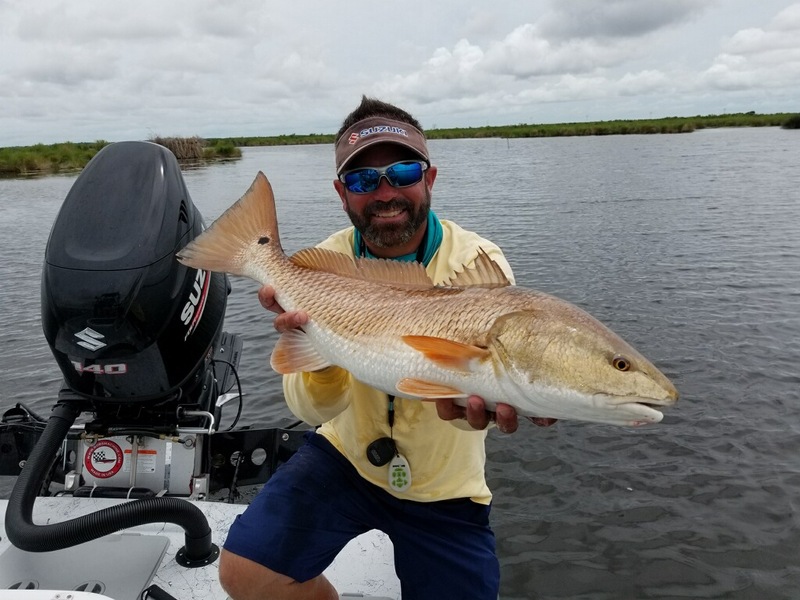 We spent a week pre-fishing and scouting areas for the IFA Redfish Tournament held in Houma, LA on Aug. 4th 2018. 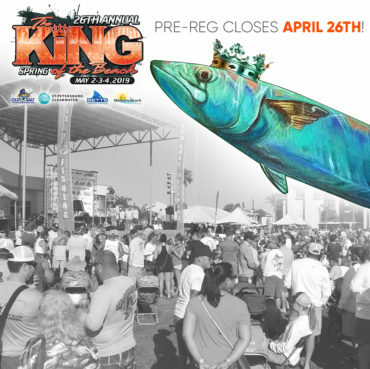 It was a great week of action packed fishing leading up to the tournament with perfect sight-fishing conditions. Unfortunately, on tournament day, the weather took a turn for the worse and left us with cloud cover, wind, and rain. We did our best to adapt to the changes and caught our fair share of fish, just not the ones we needed. 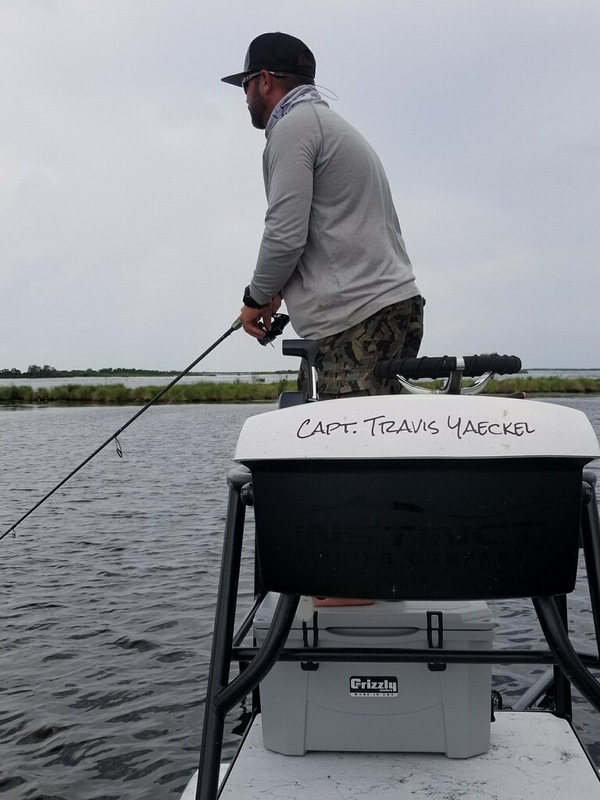 With low visibility, we were severely handicapped in being able to sight-fish and in Louisiana, this is a critical component to catching the “right” fish. A lot of times, with the amount of fish, “blind” casting an area is a gamble on the size of fish you may catch. For us, we caught several over-slot and smaller fish as a result of not being able to target specific fish visually. Its hard to imagine this is possible, unless you have experienced it. Often times, there are groups of fish swimming on or just below the surface, and unlike most fish in our area – they are very aggressive. Typically, whichever fish the bait is presented too is the one that is caught. 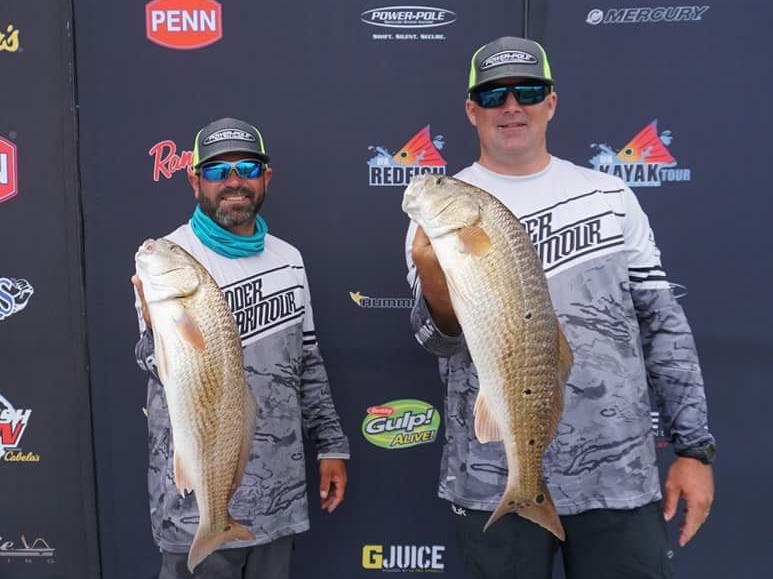 Unfortunately for us, luck just wasn’t on our side for the tournament winners but we did bring a few nice Redfish to the scales and enjoyed catching up with old friends in the competitive fishing world. All-in-all it was a great trip and we couldn’t be happier with the performance of our new Suzuki outboard carrying us through the unforgiving Louisiana marsh. There is no better feeling having a dependable and capable power source, especially in some of the areas we fished. A lot of times we were out of cell phone range with no other boats in sight. The Suzuki DF140 laughed at every challenge we threw at it from shallow mud flats to open bays with no problems at all!